Situated across the road from the school, the No Se No social club—also run by Rivington School founder 'Cowboy' Ray Kelly—acted as a meeting and performance space for many of the artists involved, such as Kembra Pfahler, Dragan Ilic, Arleen Schloss, Taylor Mead, Michael Carter, Jack Waters and Phoebe Legere, and was where the renowned '99 NIGHTS' of performance took place in 1983, documented every night by the photographer Toyo Tsuchiya for exhibition the following day. 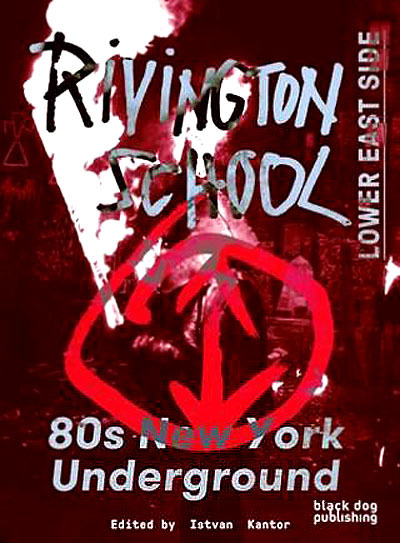 The School was also the origin of the guerrilla sculpture space the Rivington Sculpture Garden, which opened in 1985 and was destroyed more than once by the city authorities. Its construction/destruction is documented in the super-8 film ANTI CREDO by Monty Cantsin aka Istvan Kantor. Formed in a vacant lot next to the No Se No club, the evolving collective space was the site of the massive, welded metal junk sculpture that the group has become known for.